Share the post "Famille Drouhin (Burgundy): “In the 2018 vintage, we favoured a proportion of whole harvest”"
Here is the latest report from Famille Drouhin on the 2018 Vintage in Burgundy. Founded in Beaune in 1880, Maison Joseph Drouhin’s cellars have spread from the historical Cellars of the Dukes of Burgundy and the Kings of France in Beaune (12th-18th centuries) to the Moulin de Vaudon, an 18th Century watermill in Chablis. Today, the fourth generation is at the helm. 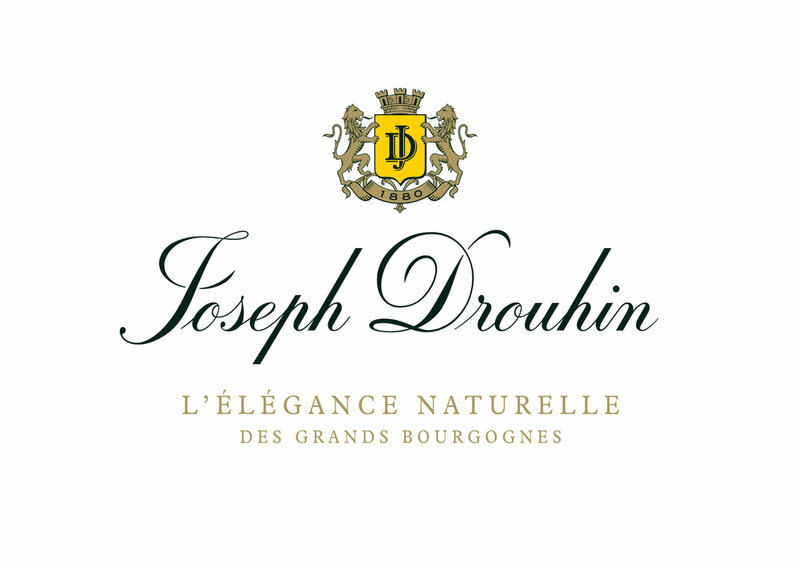 The Joseph Drouhin Domaine was assembled parcel by parcel over the years and comprises today 73 hectares (182.5 acres) of vineyards in Côte de Nuits, Côte de Beaune, Côte Chalonnaise and Chablis. It is one of the most important domains in Burgundy, with more than two thirds of the vineyards classified as Premier and Grand Crus. With close to 90 different appellations, Joseph Drouhin offers a fascinating array of Burgundy terroirs in all their authenticity and subtle variations. “The autumn winter 2017/2018 was wet and rainy in Burgundy after a very dry summer of 2017. It rained almost every other day with a cumulative rainfall above normal. The soil was in great need of it and the water tablets were thus able to be reconstituted. The rain had, of course, generated a lack of sunshine without any consequences. The end of March was cold with little luminosity and the vines slowly resumed their activity. At the end of the month the buds were barely inflated for Chardonnay and still closed for the Pinots Noir. In mid-April the weather changed and the rain become more rare. The weather became milder and the vineyard resumed its activity. During the 2nd half of the month due to higher temperatures and moist soils the growth of the vines was almost explosive and in a week we went from budbreak to almost 5 to 6 unfurled leaves. It rained considerably in Côte de Beaune but also in Côte de Nuits. At the beginning of May we experienced a very limited frost episode, really inconsequential, and nothing to do with the 2016 or 2017 vintage. The cocktail of rain plus heat caused difficult conditions in terms of mildew. Vigilance was essential throughout the vineyard. The first flowers were observed on the 19th of May for Chardonnay and at the end of the month flowering was already well underway throughout the vineyards. We also noted an extreme homogeneity between the Chardonnay and Pinots Noir and the Côte de Beaune and Côte de Nuits. It hailed a little on the sector of Puligny and Chassagne on the 8th of May, without real consequences. In mid-June the berries reached the sized of small peas. Growth continued at a good pace. In almost 3 weeks we moved from the end of flowering to the complete closure of the bunches. Summer settled; dry, bright and windy with 150 more sunshine hours than normal. Temperatures followed this trend with degrees higher by almost 2 ° C than normal. There was no impact on the vineyard which fortunately had spring water reserves. Under these conditions the first berries were observed in mid-July. We noticed now, after the initial homogeneity of the vineyards, a heterogeneity between the sectors having more rain than others. August was going to be very dry. Harvesting on the estate started on the 29th of August in Côte de Beaune with the Corton Charlemagne and on the 5th of September in the Côte de Nuits with Grands Crus. Many vineyards had been purturbed by the deficit in water of the summer season. The rains of early September associated with the return of light morning dews unblocked the situation and accelerated the cutting. As of the 6th of September, almost all the grapes from the Côte de Beaune were picked. Regarding the vinification of the whites, the alcoholic fermentations were very slow. As of today; even though the wines are still aging and the malolactic fermentations are not all finished, the 2018 white wines are a reflection of this sunny vintage. The maturity of the year is carried by a subtle freshness that gives length and dynamism in the mouth. We vinified our wines on good lees. During ageing, they should maintain their freshness and aromatic complexity. The wines continue their aging in barrels for the villages, Premiers Cru and Grands Crus. We can begin to form an idea of the style of the wines. They have a very nice balance, aromatic floral profile and ripe fruit.